Your Notes On Your Desktop. 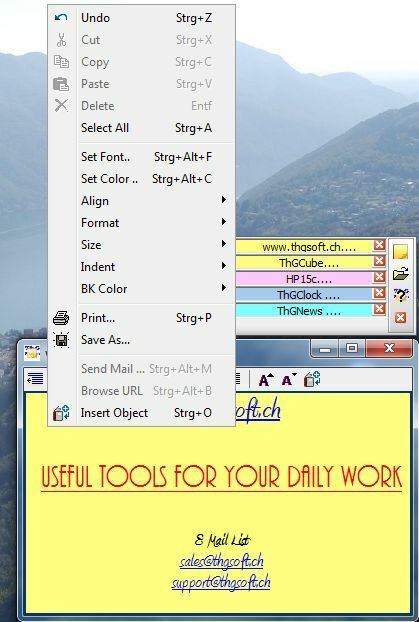 Save all your Notes, Web Links, Images on your desktop. Design your notes yourself, Fonts, Color can be set individually. With a double click on a file link or a web link, the corresponding web page or document will be open. 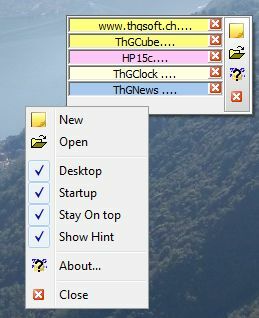 So you can sort your informations on the net or on your harddisk, server. You will have a fast access in all your applications, documents. 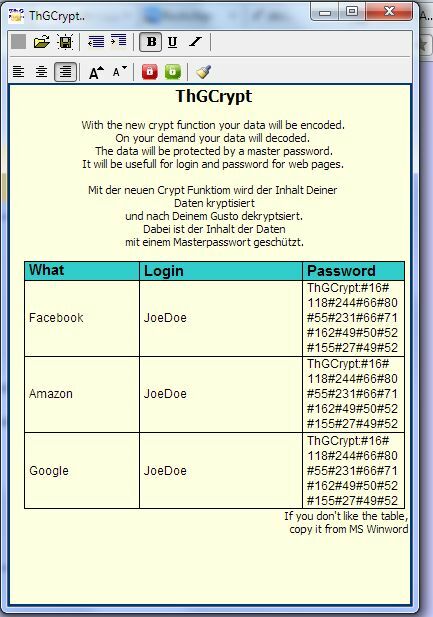 From Version 1.0.6 it is possible to crypt your data by yourself. Only to enter a master keyword is necessary. Additonal the copy of formats is possible. The free version has no restrictions, so you can test the version before buying. All future versions are free. Make a payement with Paypal and you will get a key file for registration. You can easily use Paypal (used for Ebay Payments) for payment. So we get no information about your credit card. Ask for discount if you want to buy more registrations. Version 1.06 Allows crypt, decrypt your data.